Information about Tekken 7 fights. These days, we can find many different video games, which are based on fights between different characters. Unfortunately, not one of them can align with the newly coming game Tekken 7. From the professional view, Tekken 7 is going to come out as the most well done video game that will has an impressive graphics and breathtaking 3D special effects. What kind of fights are going to appear in Tekken 7? Starting from the very beginning, Tekken 7 fights is going to be very different. Each gamer will be able to choose his own fighter and strategy that will make the fight be very individual. Without no doubt, Tekken 7 is based on rough fights, rather than simple and easy to handle battles, which can be mostly seen in usual video games. As you can see from the trailer above, Tekken 7 developers weren’t lying, saying that the game will be frightening and sometimes even quite shocking. 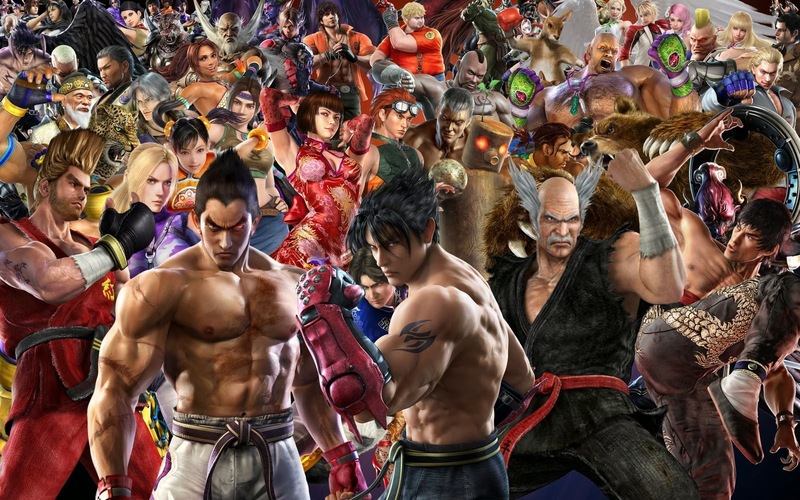 Just look at the Tekken 7 characters that are shown in this trailer. They are angry, powerful and most importantly, they fight against their opponents trying to reach one goal. To win at any cost. As it is extremely important, in the video you can also hear nice soundtrack that makes to immerse yourself to the fight even better. Last but not least, since all the game is based on fights, the environment is as important as a soundtrack or fighters itself. During the game, you will be able to fight surrounded by adorable nature or, on the contrary, in dark and gloomy town or building, where no human could be seen. Actually, such a view makes the game even more appealing. Coming back to the game characters and their fighting styles a lot should be told. As one of the most unique, Tekken 7 fighting game has a huge variety of characters that each should be presented in the best possible way. As most of you have already noticed, the best Tekken 7 fighters are definitely Akuma, Jin Kazama, Kazuya Mishima, Nina Williams, Hwoarang, King, Emilie De Rochefort, Paul Phoenix, Panda, Kuma, Shaheen and others. All of them has their own story, which we will try to tell very briefly.